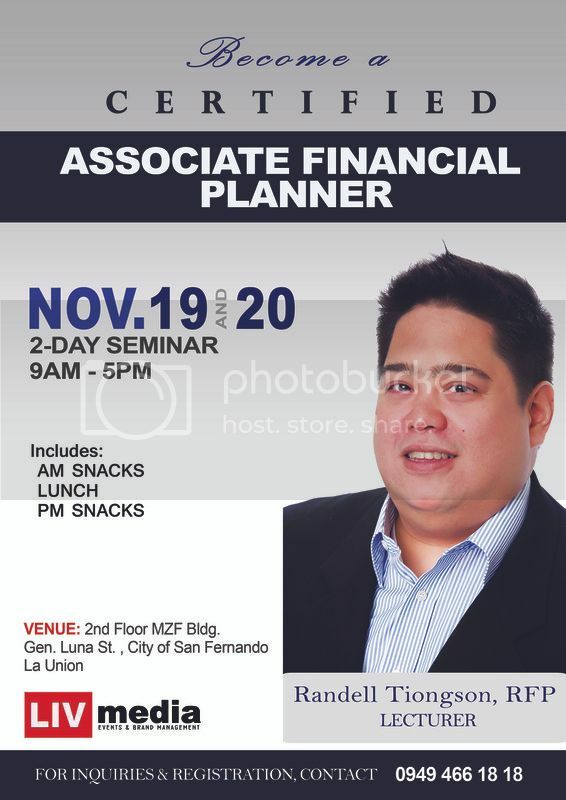 If you are from La Union and you are serious about financial planning, it is time for you to be certified! Join the first ever AFP certification program in La Union. Joining me for this program is the country’s in-demand Stock Market advocate, Marvin Germo. Participants of the program will be awarded the AFP designation upon passing the required examination after the program. The AFP designation is being issued by the Registered Financial Planner Institute, the country’s largest and most distinguished financial planner designation institution. If you are interested to enroll in the program, please get in touch with Jessamine at 0949-4661818. Limited slots only. When is your schedule in Metro Manila?